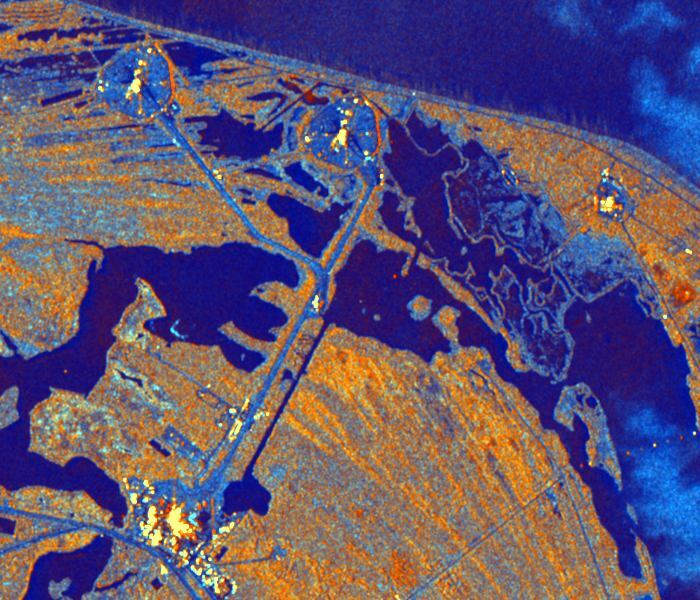 Description: This is a detailed view of a radar image of the Kennedy Space Center on October 4, 1994. The light blue areas on Cape Canaveral are the launch pads used by NASA and the Air Force. The two pads in the upper left of the image (light blue hexagons with bright yellow areas in the middle) are Launch Complex 39 pads A and B, originally designed for the Apollo program and now used by the space shuttle. Map Credit: Courtesy of NASA JPL.